What a way to kick off the summer. There is one more week left of school, I have some amazing summer giveaways and reviews coming within weeks, and we have a new addition to the family: Myles! Yes, friends…we are officially fur-parents. Here he is with Daddy on his first day home! 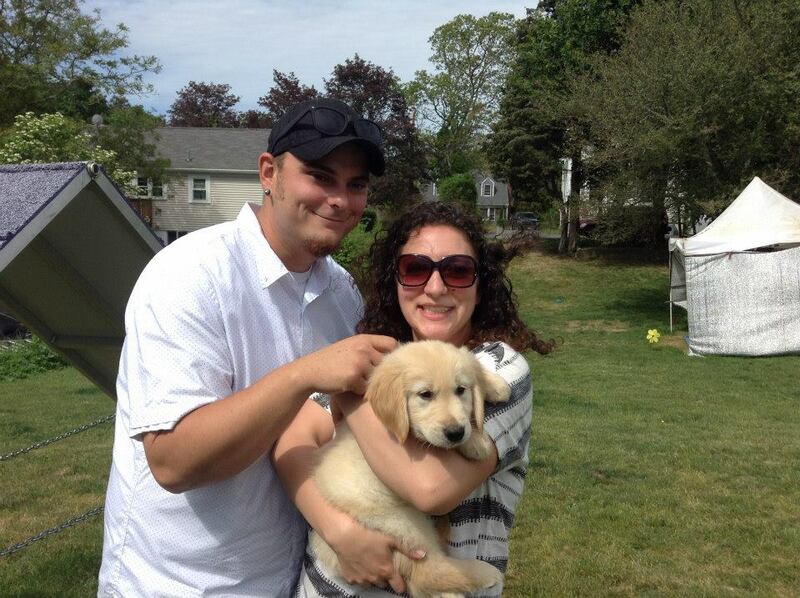 And our first family photo before we brought him home! 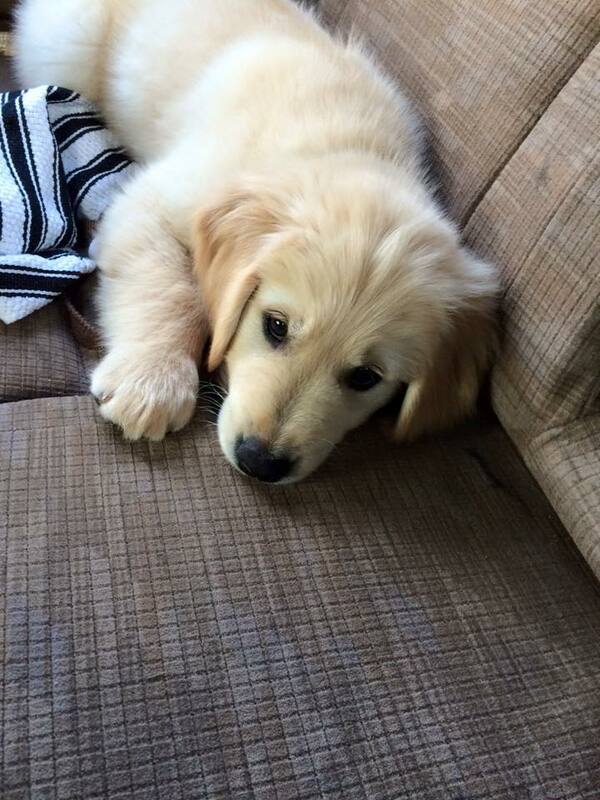 He’s a Golden Retriever and he already weighs 12.5 lbs. Even though we brought him home two weeks ago, he’s growing so fast and it’s making me get a wee bit emo. I’m a proud, protective fur-mama though! And, of course, he’ll be as cruelty free as possible too: he loves his Paul Mitchell Puppy Shampoo and his essential oils for flea and tick prevention. He loves his vet, and she’s helping us find the balance for holistic and traditional care which I LOVE! He also loves his grandparents, riding in the car, and pouncing on Keith’s feet. 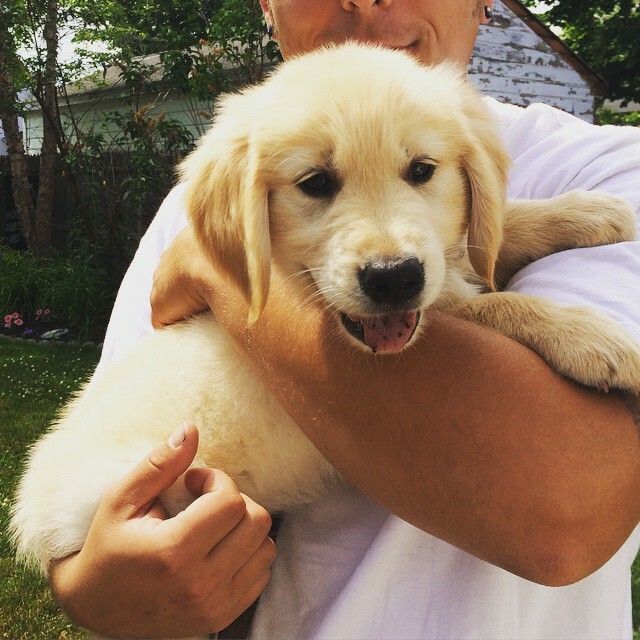 Welcome home, Myles! Yesterday one of my best friends and fellow bridesmaids from my wedding got hitched! I always liked going to weddings and love being a part of them even more. I really don’t need much of an excuse to party. 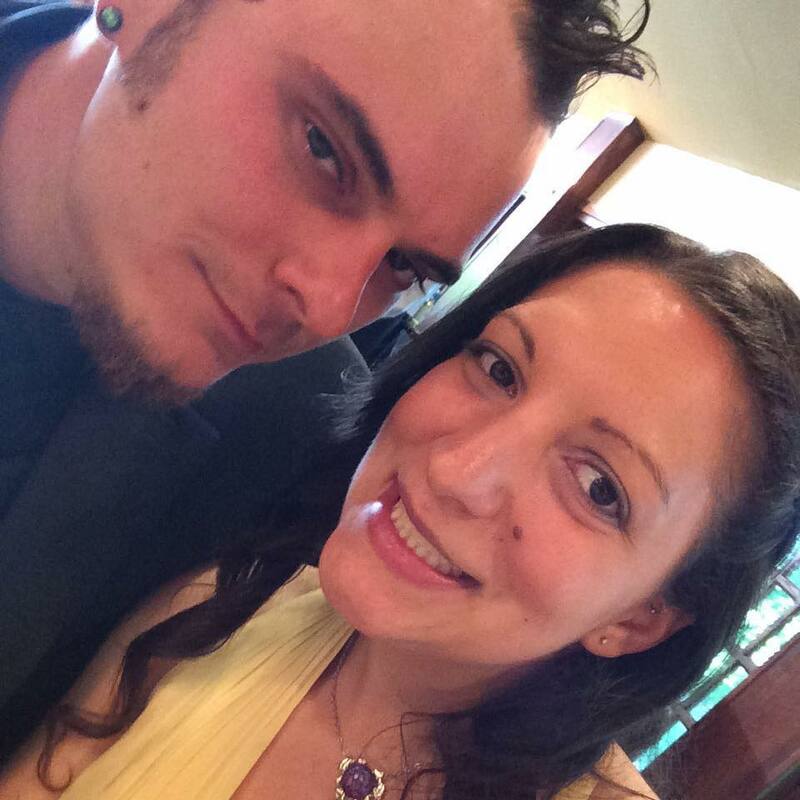 So, with that being said…I love weddings even more now that I’m married. There’s something about dancing with your husband that, for me, that makes me giddy. Call me old-fashioned, call me a bleeding heart, call me whatever you want…but here’s why being married at a wedding is awesome. PS – I’m actually wearing my bridesmaid dress again this summer for another outing. Don’t judge me. Because what’s a wedding without a selfie? You always have someone to dance with. You have your biggest fan with you. I had to give the speech at the reception and knowing he was there made it awesome. This guy is on point when it comes to grabbing drinks. It’s fun to dress up–I don’t see Keith dressed off often because of his job. A man in a suit is even sexier when you don’t see it all the time! Someone always knows where your purse is and what’s in it for those quick touch-ups. Let’s be real, it’s dinner, dancing, and party time. It’s like a built in date night. I like date night. We have two more weddings this summer. The next one we’re guests at, and the third Keith is the best man. Happy wedding season, indeed! Now…here’s what you should be bringing with you! All cruelty free and all awesome! Flats, unless you’re a dirty hippy like me. I went naked with my feet as soon as we hit the head table. Lipgloss and a small pallet! I love my Too Faced Boudoir Eyes, E.L.F. Hypershine gloss, and Pacifica Devocean Lipstick in Tenderness. These Box Naturals Wipes in Rosewater or Lavender. They’re perfect for freshening up! As I said, weddings are fun as heck! Pack a little survival kit and have a great time spreading the love. Don’t forget to sign the guestbook. My April and May 2015 Empties! 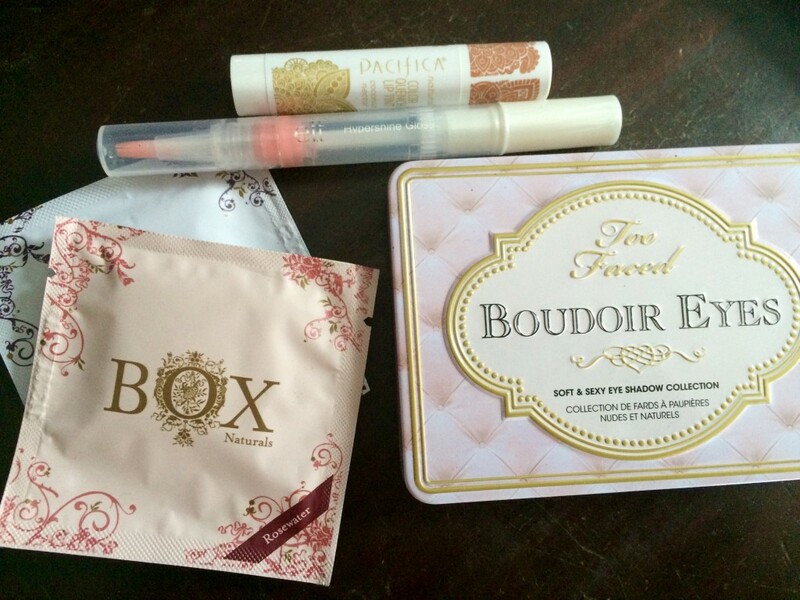 Many of you know that I am a big fan of both Vegan Cuts Beauty Box and Petit Vour Beauty Boxes. I really like trying new products and seeing some of personal favorites in their, too. With all of that being said, I’ve gotten to try some great (and some…interesting…) products from both April and May. 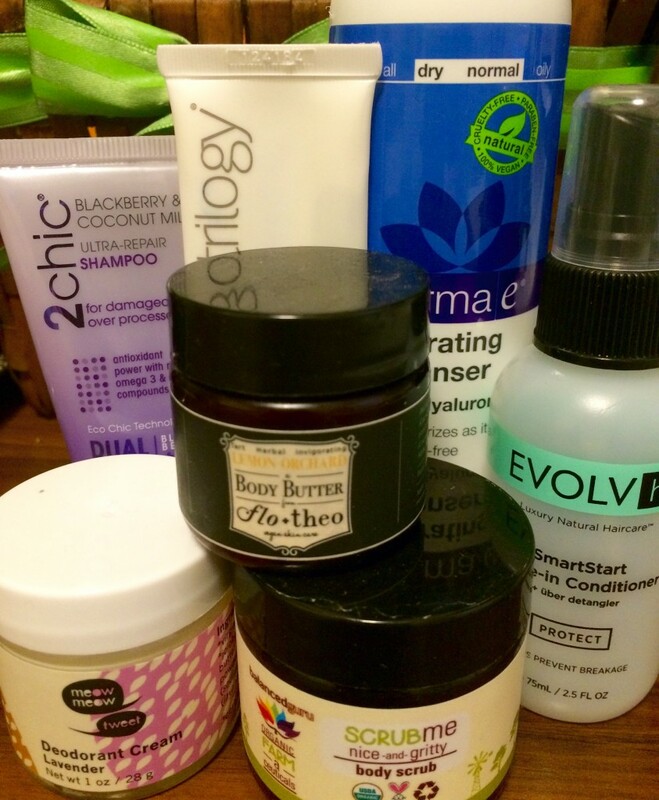 Here are my full thoughts on all of my empties (hehe). Holy snap! I used a lot of stuff! EVOLVH Smart Star Uber Detangler: I received this spray in a Petit Vour box and really enjoyed it. Unlike some detanglers, this one was very light. I was almost skeptical that it would help a comb go through my thick, curly hair! However, this detangling spray not only kept my hair smooth and tangle-free, but it also worked as a nice leave-in treatment to fight the frizzies. The scent was light and fresh and I loved using this with my other curly hair products. Keep this around for beach season! flo + theo Lemon Orchard Body Butter: Lemon is one of my favorite scents, so that and the retro-chic packaging got me hooked. This body butter is fierce. I used this all winter long and was really sad when I ran out! I loved using this on my feet and hands before bed. The formula looks just like butter–thick and melts in your hands. The scent is delicious and reminded me of lemon pie! 2chic Blackberry & Coconut Milk Shampoo and Conditioner: I actually went out and bought more of these products after receiving a sample in a Whole Foods Hello Beauty bag. This is a great pairing for thick, curly hair. My ends look great and my hair feels thicker and healthier overall. My curls are on point and look shiny and supple. I also love the blackberry scent and the thickness of the conditioner. I usually leave it on for a minute before rinsing. dermaE Hydrating Cleanser with Hyaluronic Acid: You all know this is my GO TO cleanser. I’ve been using dermaE as my cleanser for a long, long time. I love how my skin feels clean, but also pampered after using this line. I also use their corresponding lotion and oil! meow meow tweet Deodorant Cream: Again, if you saw my video of my deodorant collection, you’ll know that this cream is gentle and effective at preventing odor and promoting dryness without the dangers of traditional deodorant. I really liked the lavender scent, but I would look forward to trying their tea tree in the future. Balanced Guru Scrub Me Body Scrub: I posted a really big, detailed review of this product on another site that I contribute for. I have a MAJOR CRUSH on this brand. Balanced Guru is natural, cruelty free, and ethical. Even their packaging is eco-friendly. Even my husband loved the grittyness and effectiveness of this great scrub. It had a fresh spearmint scent that literally woke my skin up (it might also be their organic coffee grounds). This is a product that will have a place in my repertoire always! Trilogy Vital Moisturizing Cream: Last, but not least, I was able to sample Trilogy’s cream in my Whole Foods bag as well. 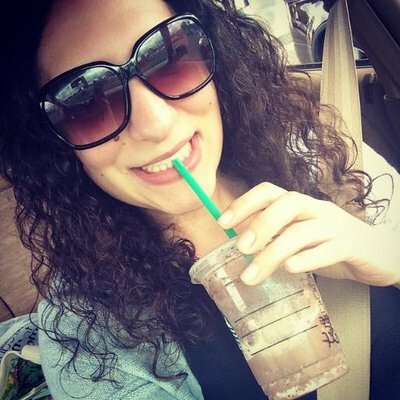 I loved the formula and the feel of the cream, but the rosy scent was not for me. I’d be open to trying some more of their products, but I’m on of the few people who can’t smell rose all day long. I also thought this functioned better as a night cream because it was a little thicker. Best part? 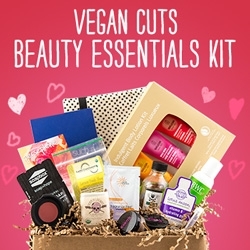 These products are all cruelty free and NATURAL! Some are vegan as well and most are very budget friendly. I really liked trying (and re-trying my faves) throughout the past few months! We’ll have to see what makes the empties this summer! 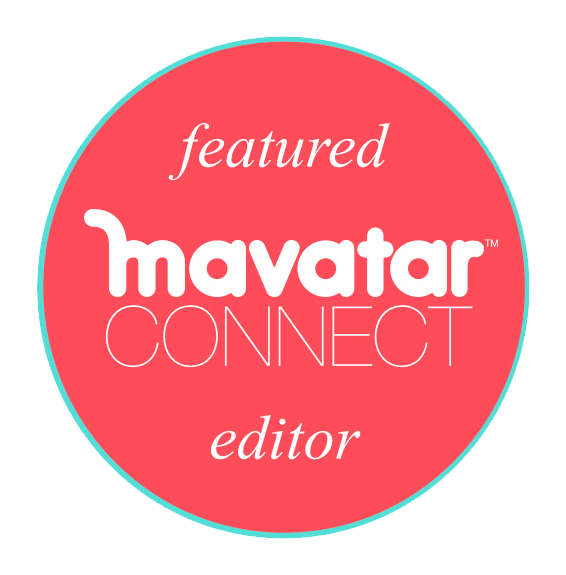 Editor’s Note: This post contains affiliate links which means that I receive a commission for products purchased through said links. Somehow summer is almost here! Go on, haters…hate on the #teacherlife. Done? Good. Let’s continue! For those of you who have been reading my blog for a while, you know that I often change my skincare routine based on the time of year. Summer is definitely no exception to this rule. When the warmer weather hits, your skin craves different attention. Don’t forget, too, that summer is a time for travel and vacationing. So, packing light and conveniently becomes a priority. This is where Pacifica Beauty has done it yet again with their two ULTA exclusives! 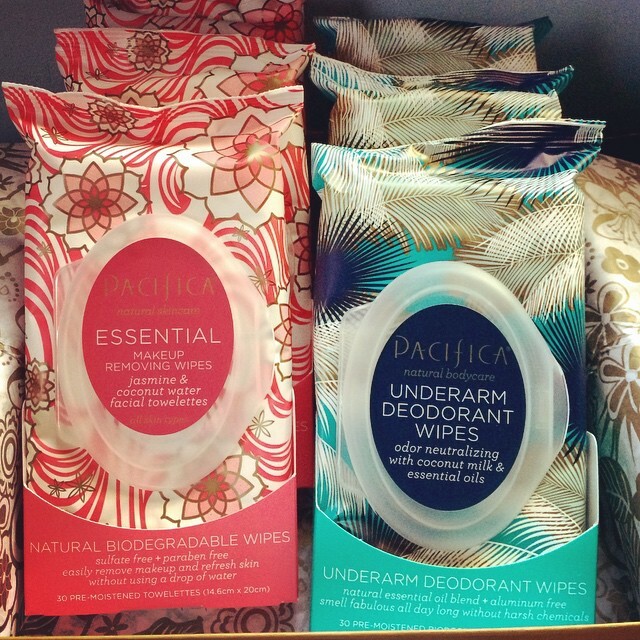 I bring to you Pacifica Underarm Deodorant Wipes and Pacifica Essential Makeup Removing Wipes. Both of these are must-haves for your travel bag, gym bag, and work bag (or any other bags you may have, teehee). Check them out and enter below to add these essentials to your cruelty free repertoire! Pacifica Underarm Deodorant Wipes: I fell in love with these while researching my last post for cruelty free and natural deodorants. These wipes are not anti-antiperspirants, but that’s what makes them safe! These wipes are packed with natural essential oils and coconut milk. The ingredients actually neutralize odors and help to stop malodors. These wipes smell AMAZING. They have a vanilla/coconut tropical scent to them that lasts a long time. I’ve used these after a day at work and before a workout and I smelled fabulous for my hour long cardio session. The witch hazel and shea work to soothe skin, too. These were really convenient to use and they have a permanent place within my gym bag. Even my husband (who has an extremely dirty job) loved using these to freshen up. These would be great for camping or backpacking as well as for after a hot yoga session (spoken from experience, ladies and gents!) I would buy these again in an instant. I love how gentle and EFFECTIVE they are. Pacifica Essential Makeup Removing Wipes: I am sometimes lazy when it comes to removing my makeup before bed or the gym (for shame…), so these are a godsend. A while back I reviewed their coconut cleansing wipes, but found that they didn’t remove darker makeup or heavy eye makeup as effectively as I wanted. These wipes make the cut! They are also infused with coconut milk, jojoba oil, and aloe vera which gently removes makeup while leaving your face feeling soft and soothed and smelling great. It’s a bright, light scent that reminds me of that “just showered” scent.